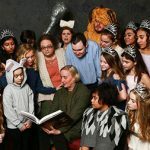 Kirk Players will present its spring children?s show, Fairy Tales and Fables, a lively collection of works from Aesop, Brothers Grimm, Hans Christian Anderson and Mother Goose adapted for the stage by Kirk Players, on March 29-31 at Mundelein High School Theatre. 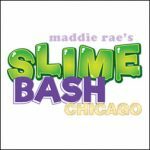 Join us for Maddie Rae’s Slime Bash! Bring the whole family to experience the world’s largest slime convention! Meet, take pics with, and buy slime from 30 of the biggest slime celebrities on Instagram & YouTube! Enjoy a screening of Disney’s RALPH BREAKS THE INTERNET with the whole family. 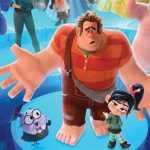 Following the events of Wreck-It Ralph and Vanellope, discover a wi-fi router in their arcade, leading them into a new adventure. 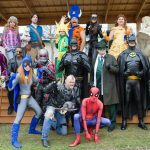 Meet and mingle with dozens of your favorite characters. 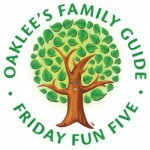 Kids in costume are free! A portion of the proceeds will be donated to Shriner’s Children’s Hospital. Join us for open play time during Spring Break! 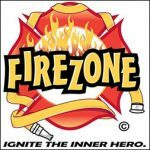 Kids will have a chance to be Junior Firefighters, exploring a fire truck, ambulance, rescue boat, multiple slides, and more! Waivers and socks are required for all the kids, we recommend filling out the waiver ahead of time on our website.